For my final junior critique, I present a written artist’s statement borrowing the form of a monologue. 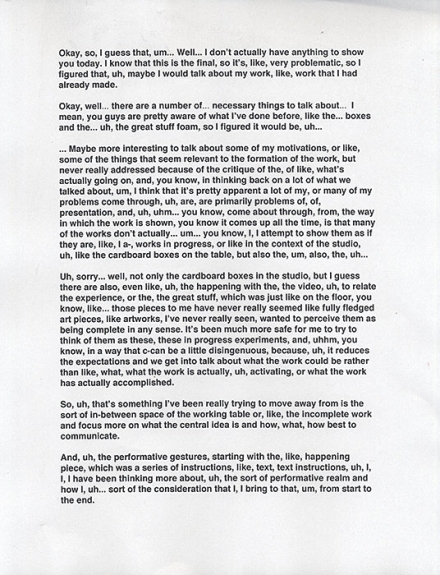 Every word used is extracted from statements I had made in previous critiques, which I had recorded over the course of the semester. The statement proposes that because the artist has failed to complete new work, the best possible use of the critique is to discuss the successes and failures of preexisting works and what had prevented the artist from finding new ideas.